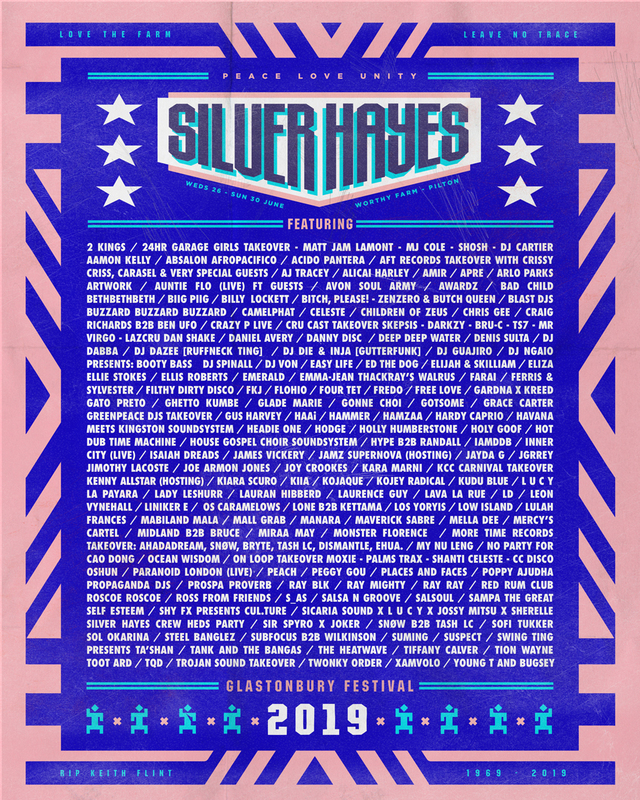 Glastonbury has locked in Four Tet, Jayda G, Peggy Gou and Ben UFO, among others, for its Silver Hayes area dance programme. The legendary Somerset festival, taking place from 26th June through to 1st July, has used the Silver Hayes section of Worthy Farm as the festival goers' dance music mecca, with six tents and stages. This year, as well as the above, Silver Hayes will host Midland, Shanti Celeste, Daniel Avery, Peach, HAAi and many, many more. On top of having the Chemical Brothers as headliners, it's sounding like quite the line-up for ravers. Check out the full Silver Hayes line-up on the poster below. Check out our favourite tracks from Glastonbury 2017 here.